In a previous life, if there are such things, I'm quite certain I was a butterfly collector. I have discovered that I pursue unusual foods for canning with the same zeal, nay, obsession, that I imagine nineteenth century entomologists expressed for their quarries. Once I discover that it is possible to can something, to preserve it in some way, then I must procure it. It was this way with the paw paws. The violets and lilacs. Foraging for a wider variety of foods. Each time, the internet is my enabler. I read something on a blog, describing a food I haven't yet tried, or canned, or even considered a food, and off I go. Obsessed, really. 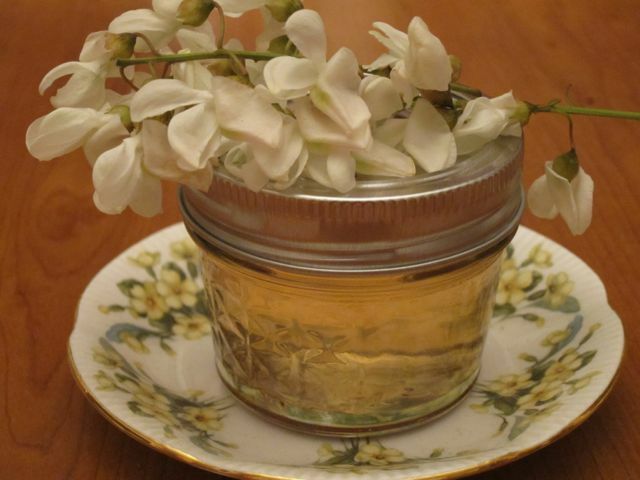 So is it any surprise that I've been driving around looking for black locust trees, after I found this jelly recipe? Nope, no surprise to me. Nor to my husband. I think he's used to my "quirks." 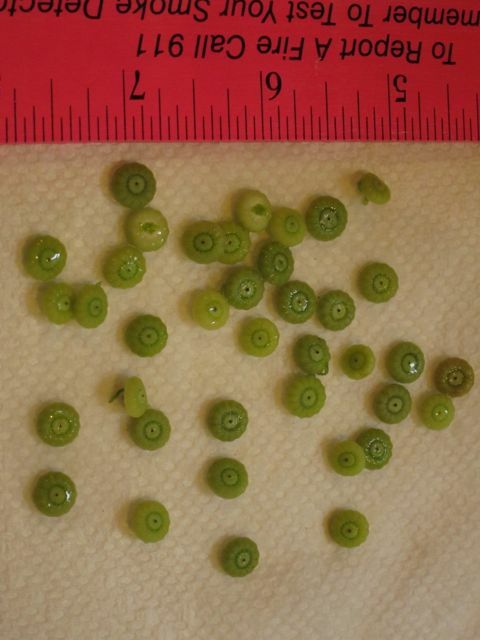 Mallow peas. Aren't they cute? After steeping the locust flowers in boiling water, I drained them and used the liquid to make the jelly. Repeating it here because then I'll have it in one place: 4 cups flowers, steeped in 3 cups boiling water for at least 8 hours, then drained. To the liquid add 4 T. strained lemon juice, one box of powdered pectin, and boil. Add 4 cups sugar, return to a rolling boil for 1 minute and then process in jars for 10 minutes. I used 4 ounce jars so I can give these as gifts and it made 10 jars and a little extra. Now that that's out of my system, I wonder what's next?